Welcome to the Lilly Bug Blog! Please visit and see what's happening behind the scenes at Lilly Bug Studio. Don't hesitate to leave a comment or to follow this blog. And please remember to visit the Lilly Bug Studio website and the Lilly Bug Boutique Etsy store. My nieces and nephews were up in Wisconsin for the Easter Holiday. On Easter Sunday, we went to the park to enjoy the warmer weather, yet not warm enough for April. I always enjoy spending time with my nieces and nephews, it keeps my heart young. However, over the years of seeing them grow older, it reminds me of the fact that time doesn't stand still. And in some ways it makes me miss the days when they were younger. Who's going to help keep me young at heart after they are no longer young? Well, the answer to that one is obvious. I never want to stop being young at heart and imagining new worlds and new characters, etc. As my slogan for Lilly Bug Studio goes, "Capturing the Wonder of New Things". . . I never want to loose that wonder. My niece, Kristin, giving us a spin on the merry-go-round. Kristin is a lot like me. My sister, her mom, has commented many times about how she can't believe how much Kristin and I are the same. Beyond our names being similar, we both are night owls and strongly dislike waking up early in the morning. We both have a fondness for ladybugs too. My niece Katrina, is enjoying the ride on the merry-go-round. Coming up shortly, she will be getting her first pet. After two years of waiting until she turned 10, she can now get the bunny she's been dreaming of getting. Now I wish both of my brother-in-laws would stop teasing her about naming the bunny, Stew, and other remarks about having her bunny for dinner. She gets upset each time they do it and they continue to tease her. Boys will be boys and sometimes it seems like they take too long to mature. Here's the birthday boy, Andrew, who turned a year old on Easter Sunday. He's watching his big brother and sisters play at the park while sitting on Grandma Rosie's lap. And last but not least, here's my nephew Jordan spinning us round and round on the merry-go-round. We had a nice Easter weekend. How was yours? adorable children! here's to keeping the youthful soul of a child. Hello! 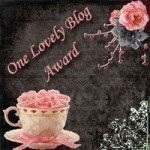 Thank you following me at my blog. :) I went ahead and followed you too. And your shop is just fantastic! Have a wonderful day! Looks like a great day of playing, the best way to stay young, I agree. The kids look so carefree and happy. sooo cute! looked like a fun day and the weather looked great! Jordan saw this post and was upset that he only had 1 line. "What!" he exclaimed. "That is so not fair!" His Dad agrees. How could this be done? I'm sorry Jordy. I will have to post some more about you next time. An artist who aspires to become a children's book illustrator. Stays young at heart and an avid daydreamer. When the weather permits, I enjoy visiting/biking on the nature trail near my house. Visiting the trail has brought me many hours of enjoyment and relaxation. My camera is usually by my side while on the trail. I like to try to find the small and unnoticeable as subjects for my photos. And of course flowers and plant life encompass many of my subjects. I take pride in creating items with quality craftsmanship. I earned my BFA degree at UWO with an emphasis in drawing and sculpture. While attending school, I discovered my love of watercolors and sculpting with Apoxie Sculpt. This is when and where Lilly the Ladybug took shape and blossomed into a variety of subjects for my work. Both Lilly and I hope you enjoy the work of Lilly Bug Studio and discover, "the wonder of new things."